Added some shading to the characters! Added a new character, Baldwin, the dumb bear! Join a variety of colorful characters in a platformer game... OF HELL! Dodge and fight your way through missiles, a flashlight, and even your friend's OWN FEET! Play as cute and colorful characters! Play co-op with your friends... ON THE SAME KEYBOARD! What are you freaking waiting for? 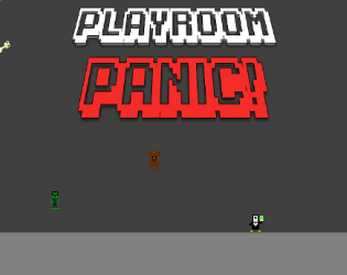 Join the panic today!